In the modern world of business and marketing, the use of social media as a marketing platform and tool has rapidly increased. With social media sites quickly becoming the norm of consumer and business engagement, it is clear that both established and emerging firms need to understand the ways in which social media can be utilized to discover new consumer insights. Indeed, what social media has over more traditional, conventional marketing is a mechanism for instantaneous connection with customers and audiences, which allows for a more tailored and specialised form of digital content for targeted consumers. As a business, your Facebook page can often become the primary signpost in conveying your firm’s values, ethics, personnel and goals; key business features that can often alter a consumer’s decision to purchase your product or consult your services. With a particular focus on Facebook, there are several key tips that can be addressed when formulating a successful and effective social media campaign. The importance of Facebook in developing a firm’s social media presence is unparalleled. It is the world’s largest social media network with over 2.2 billion monthly active users. Because of these lucrative numbers, there is serious potential in tapping into these markets to enhance brand engagement. Having said this, it is important that businesses appreciate the value of using Facebook effectively. Before jumping into anything too drastic, it is paramount that you know your audience and have set goals. This is like any other form of marketing strategy; your strategy must be framed around a desired audience and clear, concise goals, which can be measured to evaluate success. As a business owner or marketing manager, one must possess a clear definition of their audience as a framework for developing digital content. What is the age bracket of your target audience? What are their goals and their behavioural traits? Do they have children? Are they single or married? These are just some of the key questions that need to be pondered and answered when designing a social media-based strategy. Take a look at Facebook Audience Insights and its analytics page to determine the most specific consumption behaviours of any potential consumer. Specific: We don’t just want to see the conventional aim of “increasing social media engagement”, because in reality, that means very little. 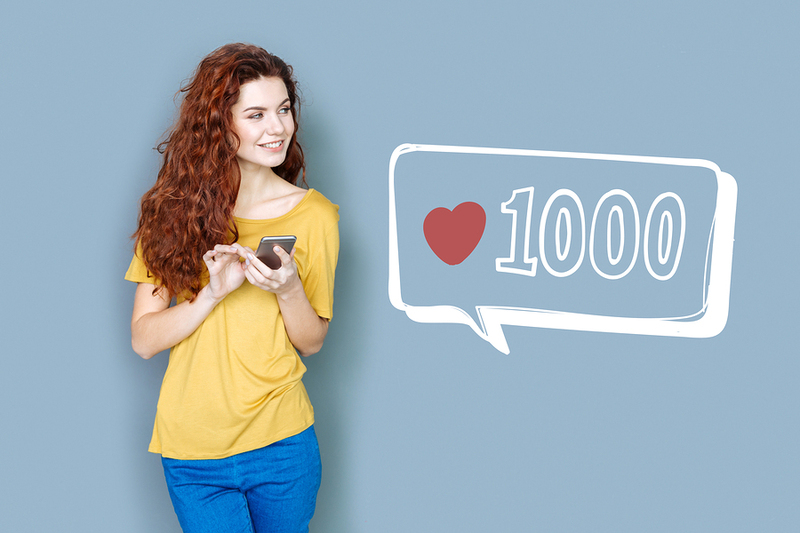 Do you want to have 50 new Facebook likes, or 100, or 200 on your new post? Specificity is integral in clarifying what your business is trying to achieve and, more importantly, giving your marketing efforts a sense of direction. Measurable: You want to be continually monitoring whether your efforts in achieving your goals are being met or showing signs of improvement. Has there been an increase in Facebook likes since the most recent post? And do you have set processes/personnel in place to ensure that continual monitoring takes place? Attainable: There is no point in having a goal that simply cannot be achieved. Having less than 100 Facebook followers and wanting 1 000 new Facebook followers after one blog just isn’t attainable or reasonable. Look at your past posts or the campaigns of similar firms to gauge a better insight into setting realistic metrics for your objectives. Relevant: It is all well and good to want to enhance your Instagram following or Twitter mentions. But what if Facebook is proving to be your most effective source of consumer retention and expansion of your customer base? Perhaps having an overly optimistic goal of improving your brand’s retweets just isn’t financially viable. Timed: Time is crucial when developing your goals. You must have a deadline or some form of a parameter in order to evaluate your marketing efforts. This staves off procrastination and ensures accountability. So now you’ve set your goals and your social media strategy has direction. But what exactly is your strategy? What will be the overall mix of your Facebook content? Social media is two-way street. Communication is back and forth between consumer and business. Long gone are the days when consumers were told what to like by businesses. In the B2B world, you want to promote your brand. In reality, you want every post to be an informative piece that encourages consumer purchases and creates long-term brand loyalty. But you simply can’t do this. In reality, a marketing team needs to foster interaction. Consumers may like your goods and services but that doesn’t mean they are going to comment or follow your Facebook posts. When designing your content, it is about interesting your fans. Ask them questions and reward them for answering. Have contests, polls and quizzes and encourage your followers to share content of them in order to win prizes. This will enhance word of mouth and create further engagement. The rule of thirds has become a relatively common practice in social media marketing. And that’s because it is effective. It outlines a successful balance between businesses striving for promotional posts and developing fun digital content. Ultimately, one third of your social media posts should be stories and anecdotes, one-third should involve personalised communication with your followers and potential consumers, while the last third can be designed to promote your business. Your posts need to be engaging and varied, allowing you to develop a seamless story for your brand. Your followers will likely react positively to your brand if you show a little personality. As a business, you don’t want to conform to the stereotypical dull, corporate image. Social media has the propensity for businesses to develop and harness their “internal equity” or employee brand. While remaining professional and compassionate, share images and posts of your employees, customers and other relevant stakeholders working happily or engaging positively. You want to show your followers that you care. Build an online Facebook presence based on that. So by this stage, you probably have a relatively sound understanding on what your content will entail and how it will be balanced across all your Facebook posts. But now the question arises: how often should my business be posting? You have the greatest chance of maximizing the visibility of your Facebook post if you post during times of peak consumer activity. This generally occurs between 8 and 9am on weekdays and 11am to 2pm on the weekends. This changes from business to business though and varies across industry, profession and the mannerisms of your prescribed consumers. However, it is not just about posting at peak times, but also posting consistently. Create a content calendar to ascertain that your Facebook posts are frequent, varied and fulfil all your requirements. This will reduce the likelihood of you losing track of your Facebook campaign and increase the consistency of your consumer engagement. There are a variety of different types of Facebook posts, all of which have their own unique advantages and disadvantages. The most basic post. It can’t direct people to your website to promote traffic; however, it can spark engagement and consumer discussion. Sometimes, words speak more powerfully than an image and if you have a story to tell or question to ask, share it. Ask a question of your audience and wait for responses. Photos are a good way of integrating a visual element into your post and breaking up the monotony of text. Facebook posts with images also receive approximately 2.3x more engagement than their text-only counterpart. Video has plenty of creative avenues, allowing marketers to create original and tailored content for their target audience. Your videos can be educational, promotional or even entertaining, however, all things being equal, your videos should always be relevant to your audience. There is no point in sharing a humorous video if it’s completely irrelevant to what your company sells. More so, many companies make the same mistake of making the video too heavily centred on the company. Facebook videos should be designed and executed with the consumer in mind. A clever way of informing your customer base that your company has a blog is to integrate it into you Facebook posts. Moreover, your blog is likely more detailed and insightful than your social media posts, which you would like to keep relatively short and concise. By doing this, you direct further website traffic to your website and blog, increasing the likelihood of conversion. Facebook Live has become one of the most discussed social media topics over the last two years. Broadcasting live on Facebook gives your audience a “behind the scenes” look at your daily operations, while going a long way to revealing your employee brand and the key personalities that define it. Keep in mind that anything can happen when you go live and that the act of “going live” can be rather pointless if executed at a time of low activity. Keep it simple, casual and make it about your customers. All things considered, there isn’t a specific Facebook post that is universally the most effective. Instead, you should strive to incorporate a variety of Facebook posts that alternate between informative, entertaining and promotional, as this will allow you to interest a wider array of potential consumers and clients. Social media influencers (SMIs) are quickly becoming the most powerful tools in augmenting the strength of marketing plans. These individuals can be so important to the success of your Facebook campaign because they are viewed as “Industry VIPs.” They have established audiences that listen to them and generally trust their opinions. Find key influencers willing to share posts or talk about your brand; this will only increase the chance of your brand story being heard and responded to. But be wary. Your chosen SMI must possess values and opinions that directly correlate with your brand image and your core offerings; otherwise the bad publicity of your influencer soon becomes your bad publicity as well. Social media monitoring should be part and parcel when designing Facebook content and posts. New platforms are constantly emerging, which allow users to track keyword descriptions in Facebook posts and monitor consumer dialogue. Having those keywords in your own video description or posts can also be very effective in bringing your content to the top of the page in search engines. At the same time, you’ll find powerful, influential voices, which could effectively champion your brand. Alternatively, you could come across negative electronic word of mouth (eWOM) or consumer dissatisfaction with your brand. In this sense, social media monitoring becomes a platform to build business reputation, or in some instances, salvage it. Social media is not the be all and end all of your marketing activities. Actually, it is just a small component of your overarching communication strategy. Your Facebook campaign (this being your posts, likes and pages) should all be touch points directing viewers to your website for further sales information. By integrating your various channels, whether it is Facebook, YouTube, Twitter or Instagram, your business can develop its own seamless, connected network, made up of various touch points. And each touch point represents another opportunity for your business to engage with the consumer and build a lucrative long-term relationship. Social media marketing can be an incredibly complex endeavour. In particular, Facebook offers its own challenges and benefits for marketing managers seeking to harness its marketing capabilities. In today’s society, steering clear of social media marketing is simply not an option. Facebook users and followings represent too much of the population to be ignored by modern marketers. The answer is simple. Follow these key tips and considerations to appreciate the value of effectively using Facebook to build your brand’s reputation and engagement with your customer base.